Thank you to everyone who came out to our 8th Annual Gibbons March Madness yesterday. You helped make the event a Slam Dunk! We hope you enjoyed yourself and found the environment to be valuable in your efforts to build relationships. Thank you to Gibbons P.C. for your support and sponsorship of the March Madness Event. Not only are they one of the top law firms, but some of the finest people you will meet. We’re very excited to announce that BCA Gibbons March Madness Event and Coaches vs Cancer will be partnering again this year! We encourage all the guests at the Gibbons March Madness Event to come dressed in their favorite sports attire. And, don’t forget to sport your favorite kicks. We’ll be promoting the Suits & Sneakers initiative on event day at the Hub, Cira Centre. We would like to thank all our event sponsors and partners, who generously donated items and experiences for the BCA Coaches vs Cancer raffle. Guests will be invited to participate in a Charity Ticket Raffle again this year at Gibbons March Madness. Don’t forget to check back to the BCA blog to see what kind of prizes are in store! BCA and Gibbons P.C. not only support Coaches vs Cancer at Gibbons March Madness but throughout the whole year. We are excited to attend their Pre-Season Luncheon on November 5th, 2015. Coaches vs Cancer Pre-Season Luncheon is a great event with opportunities to build relationships, hear an insiders’ look at the upcoming season, meet the six (6) Philadelphia coaches, and most importantly help raise awareness and funding for an amazing organization. We hope to see you there! For more information please contact Wendy Lambour wendy.lambour@cancer.org or by phone at 215.985.5304. Coaches vs Cancer, Gibbons March Madness, Gibbons P.C. Countdown to #GMME – Show us your team SPIRIT! It’s the Last Day to prep before Gibbons March Madness is unleashed. We hope you are getting your fan gear together. We encourage you to dress in your favorite fan gear! Show us your team spirit. 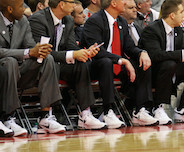 Don’t forget to wear your favorite sneakers in support of Coaches vs Cancer! Make sure to share your pictures with us, hashtag #GMME @BCAPhilly. Make sure in all the fun and excitement of Gibbons March Madness you don’t miss our Ticket Auction to support Coaches vs Cancer! Celebrity Golf Challenge – Pairings Tickets and a night in A.C.
FORE – GolfTEC’s high-tech golf swing evaluation, Impress all your friends and play your best Game yet! Read on for the additional prizes including an Autographed Basketball from Philadelphia NCAA Division I Men’s Coaches, Custom Tailored Suite, a Night Out in Philadelphia and a Couples Spa Day! BCA is very excited to have Coaches vs Cancer as our Charity Spotlight guests at the upcoming July Hospitality Breakfast. 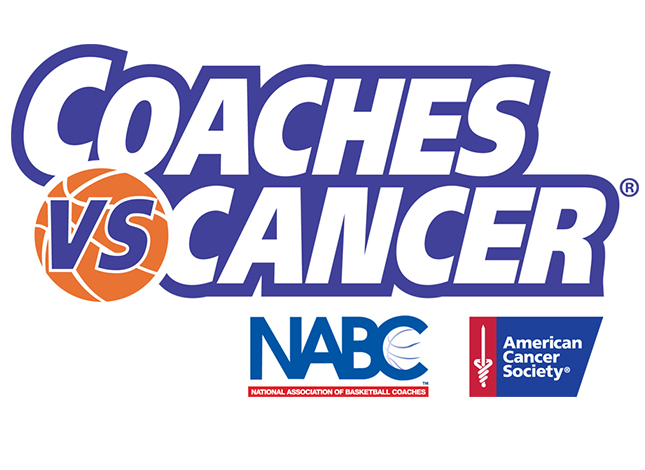 Coaches vs Cancer is an outstanding nationwide collaboration between the American Cancer Society and the National Association of Basketball Coaches (NABC). The Coaches vs. Cancer program empowers coaches, their teams, and communities to join the fight against cancer by participating in awareness efforts, advocacy programs, and fundraising activities. Guided by the Coaches vs. Cancer Council, participating coaches help people with cancer today and to find cures to end the disease tomorrow, and have raised more than $87 million to help the American Cancer Society’s mission. Please click HERE to visit their website and learn more about their incredible mission.